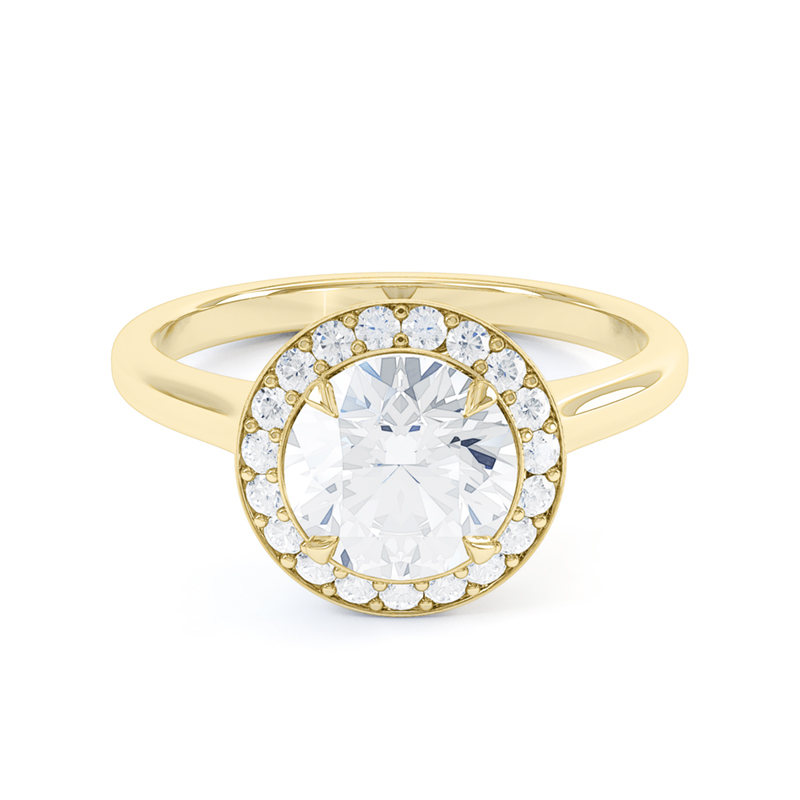 Our signature pavé set halo engagement ring. 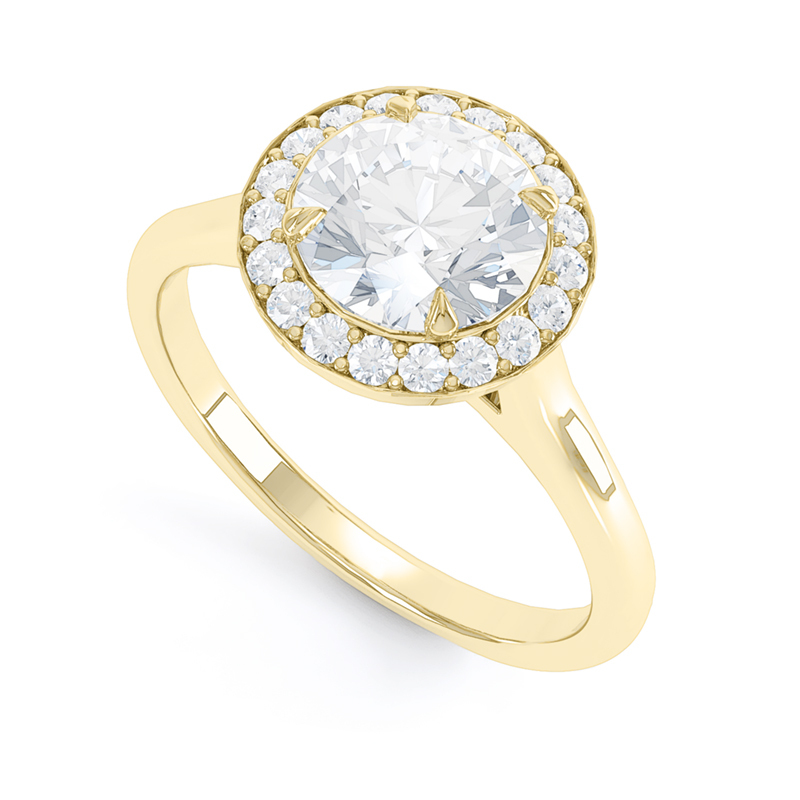 The Faye engagement ring features a distinctive halo, made up of precisely calibrated diamonds, consistent in carat, colour, clarity and cut, and skilfully crafted precious metal. The Faye is a triumph of craftsmanship. 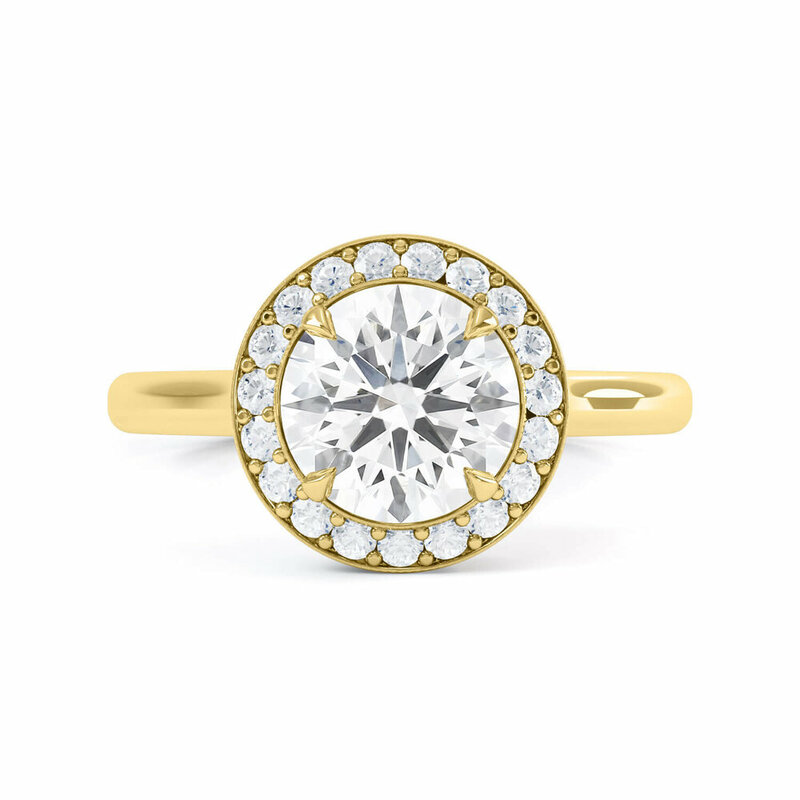 With centre diamonds available from 0.30ct, the Faye engagement ring is available in Platinum, 18ct Yellow Gold, 18ct Rose Gold & 18ct White Gold. All Queensmith engagement rings are expertly handcrafted onsite, using only the finest GIA certified diamonds. 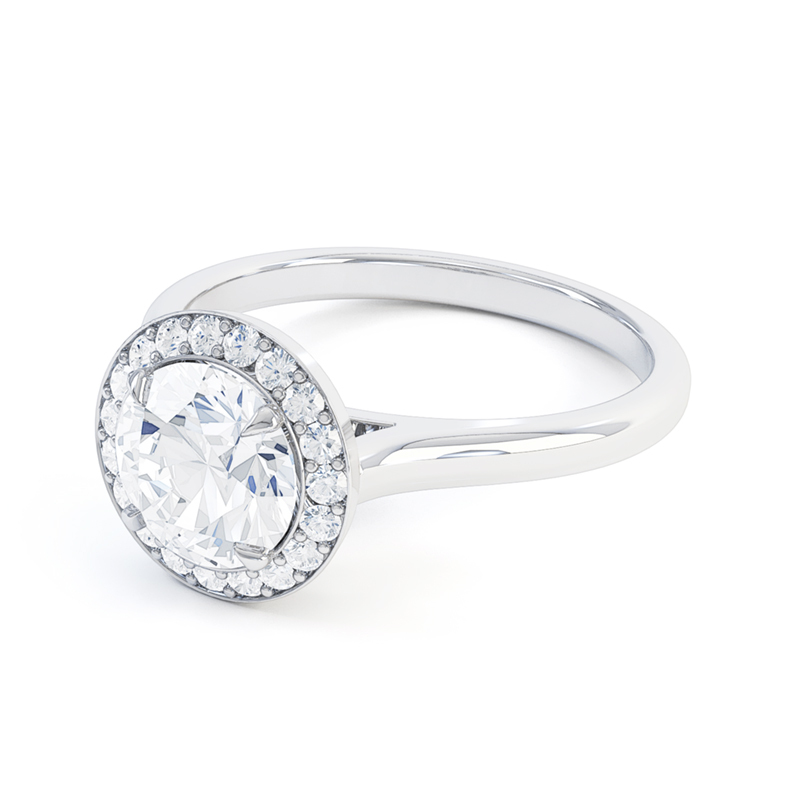 Every ring is made-to-order in our Hatton Garden workshop and can be tailored to your preference.